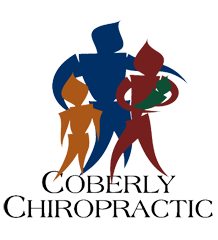 A Cup Full of Sugar – Coberly Chiropractic, Inc.
Have you ever seen the movie Mary Poppins? 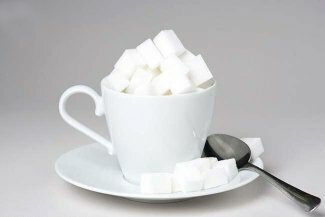 In the movie there is a scene where she is getting the children to clean their rooms, and she sings a song with the famous line, “Just a spoonful of sugar helps the medicine go down.” Based on current trends, the average American would have to take a cup full of sugar to get down all the medicine they are taking. According to the CDC, the percentage of Americans that took at least one prescription drug in the last month increased by 10% over the last decade. Multiple prescription drug use increased by 20%, and the use of five or more drugs increased by 70%. As of 2007-2008 half of all Americans used at least one prescription drug. What I find especially alarming is that 1 in 5 children and 9 out of 10 adults over 60 are on one or more prescription drugs. The cost of all this medicine is astounding. In 2008 $234.1 billion dollars was spent for prescription drugs in the U.S. According to the study, that is more than double what was spent in 1999.Although the study was simply to report the trends of prescription use in the U.S., the authors seemed to find it necessary to put in a plug for the drug companies when they stated, “As new drugs are introduced and new uses for old drugs are found, more patients can have improved health and quality of life with the appropriate use of prescription drugs.” Sadly, there is no comment about teaching and encouraging people to live healthy lifestyles so that they don’t need to take these drugs. If you spend some time searching the CDC website, you can also find lots of other interesting facts. For example, the World Health Organization rates the health of the average American 72nd in the world and rates our health care system 37th in the world. At the same time our population is getting more obese every year. Finally, we are second in the world in how much we spend on health care measured as a percentage of the Gross Domestic Product. When you put all this together, it seems too absurd to be true, but I encourage you to look into the facts yourself. We spend billions of dollars on health care and medication while as a nation we are getting heavier and sicker every year. Everywhere you turn there is an advertisement telling you to take the next great medication that will help you live a healthy productive life. Unfortunately, the evidence tells another story. I encourage you, if you haven’t already done so, to take control of your health and start making those changes that will enhance your lifestyle in a way that will help you achieve true health and wellness.